[news] Ubuntu/Kubuntu 9.10 Karmic Koala released! Congrats to all the Ubuntu fans! Today is your day. Select a mirror nearest to you to avoid jamming the default servers. For the KDE Fans, there is as always a KDE spinoff of Ubuntu, namely Kubuntu 9.10. Q. What is “Bleeding Edge” ? Bleeding edge is a term that refers to technology that is so new (and thus, presumably, not perfected) that the user is required to risk reductions in stability and productivity in order to use it . It also refers to the tendency of the latest technology to be extremely expensive. The term is formed as an allusion to “leading edge” and its synonym cutting edge, but implying a greater degree of risk: the “bleeding edge” is in front of the “cutting edge”. Q. Should I be using it? A: Depends on you. If your needs are limited and you are well satisfied with your current softwares then I’d strongly suggest you stay away from this guide since this is for people who are ready to take the plunge and have some fun before everyone else. See take an example: Ubuntu shipped off with Firefox3.0.8, you would have to wait for 6 more months to get another “stable” release from their official repo. And for Debian? A new software could take years to reach their “stable” repository. I don’t like to wait! Q. What is the point of this? Q. How can i contribute? A: Google the name of the software you are using, go to their site and read how to make bug report. Also you can join their forum and irc and engage in discussions! Now put according to your needs, or maybe all of them! 😀 Note you should only add the entries starting with “deb” the “##” are just comments for explaining what repo you are adding and how to add their keys. once you add all your deb repos in sources.list and run sudo apt-get update, it will complain that a lot of GPG errors, key import errors,etc etc. That’s when you have to add them using terminal! Please note that there should be “double dash” [- -] before the words “recv,keyserver,armor and export!” WordPress text formatting shows them as a single big dash,so change it accordingly. Please read the tag! This is not a guide or tutorial or a howto! This is just an example to give you an idea , this is just my procedure which changes everytime with a new kernel! So do not follow this blindly! Now wait a while lotsa commands in a single line whooo! Choose whatever you require, I tweak a lot but you probably don’t need to, just go through each options and see what you need or don’t need. For multiple nameservers just keep on adding “nameserver address” in a new line. Library for creating and modifying zip archives. The command-line interface for Cabal and Hackage. Control the computer usage of users. You can limit daily usage based on a timed access duration and configure periods of day when they can log in. Beta branch. Play all of the Internet Archive’s MS-DOS games offline! A quantum chemistry and solid state physics software package for atomistic simulations of solid state, liquid, molecular, periodic, material, crystal, and biological systems. How To Delete/Remove A User Account In Linux? 2DayGeek: Learn how to remove a user account completely from Linux system. MakeTechEasier: You have plenty of choices when it comes to screen recorders for Ubuntu. Linuxize: A self-signed SSL certificate is a certificate that is signed by the person who created it rather than a trusted certificate authority. A well-known Linux kernel developer once said, a poor craftsman famously complains about his tools, but a good craftsman knows how to choose excellent tools. Tecmint: Atom is a free, open-source, hackable, easy to customize and cross-platform text editor, that works on Linux, OS X, and Windows. LinuxProMagazine: Zabbix is a network monitoring application that lets you stay on top of all your network activities. Learn how to get a detailed laptop's battery report through the Ubuntu graphical user interface and through the Ubuntu command line. 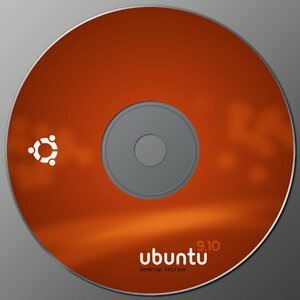 Whats New in Ubuntu 19.04? How To Monitor Disk I/O Activity Using iotop And iostat Commands In Linux?